You don't have to be an Olympian to benefit from gymnastics. There's a reason why it's called "The Mother of All Sports". Simple gymnastic exercises form the basics of many other sporting activities and can create coordination and muscle memory that will last a life time. Here's how gymnastics prepares you for other sports. Gymnastics is a great way to acquire general motor skills which are inherent in many other sports. If these basic movement patterns are not acquired at an early age, all other learning processes will be much harder. As early as preschool, children are ready for gymnastics and can start creating brain pathways that connect their brain to their body. Gymnastics is one of the most comprehensive lifestyle exercise programs available to children, incorporating strength, flexibility, speed, balance, coordination, power and discipline. Whether they are involved in recreational gymnastics or with a competitive team, skills learned can benefit a child's over all development. Gymnastics helps build a range of motor skills and helps in developing a good sense of body awareness. A young gymnast will learn how to use different part of their body in different ways. Having excellent body awareness translates easily into diving and the pole vault. Gymnasts are renowned for their excellent strength to weight ratio. Taking part in gymnastics at a young age can help build the foundation of good all around muscle strength, endurance, and power. Gymnasts get stronger through regular training which aids in the development of lean toned muscles, improved balance and better posture. All of which can be beneficial to other physical activities, sports and everyday life style. Many gymnasts turn into top athletes in other sports. Popular transition sports include track and field, volleyball, swimming, and diving. 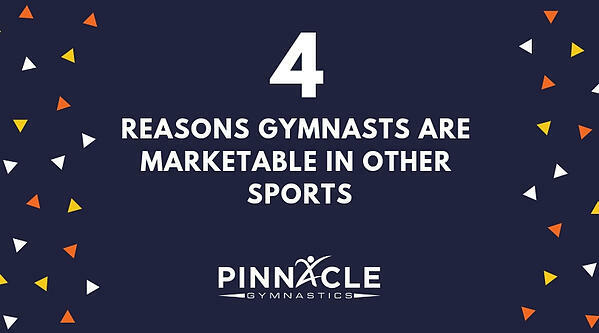 Here are some top reasons gymnastics develop athletes in all sports. 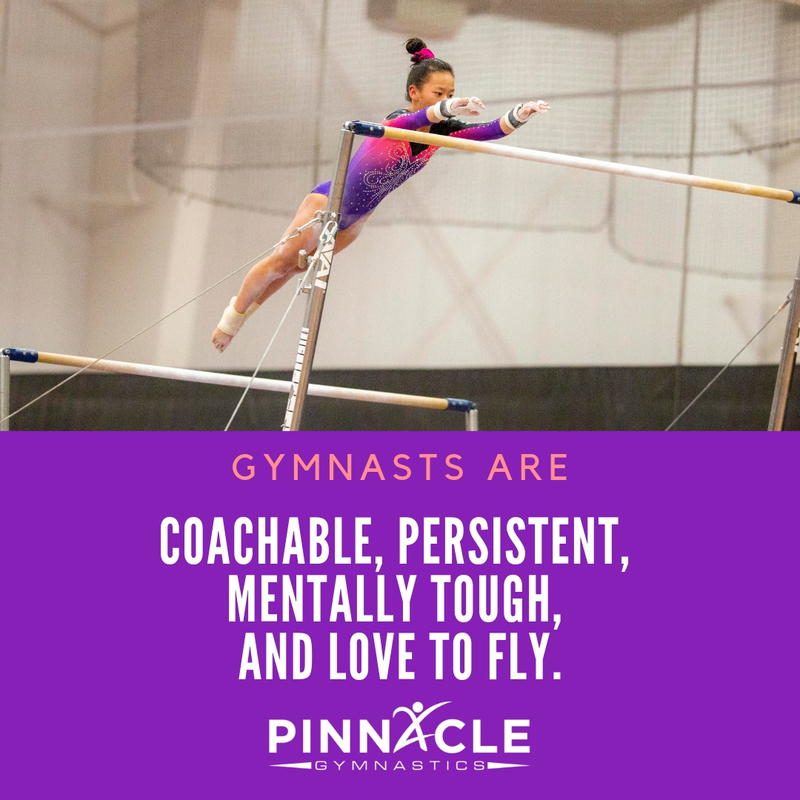 Gymnasts are coachable. Gymnasts are used to having to listen to coaches to learn how to do skills. They take coaching as a privilege and appreciate feedback. Gymnasts are persistent. Gymnastics skills are rarely learned on the first try. Instead it takes attempt after attempt to master even what seems like a basic skill. Gymnasts love to fly. Maybe we are adrenaline junkies, but heights, speed, and propelling the body up into the air are every day experiences for gymnasts. Gymnasts are mentally tough. Gymnastics is a sport where you compete as an individual. Your number one competitor? Yourself. Pushing for more, learning how to cope with defeat, and deciding to continue toward your goals makes gymnasts marketable athletes in any sport. While gymnastics is clearly our passion, we understand that may gymnasts will eventually retire from the sport. As each athlete matures and finds his or her niche, it is rewarding to see success not just in gymnastics, but in other high school and collegiate sports.